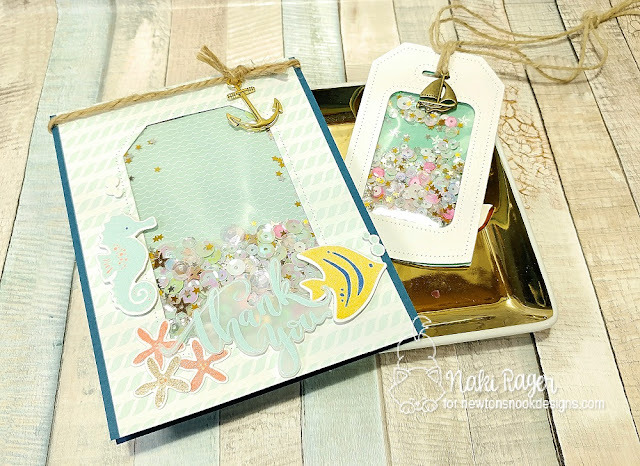 Welcome to the Summer Fun Collaboration Blog hop with Newton's Nook Designs and Studio Katia! Both teams are celebrating the start of summer with fun and colorful cards using stamps from Newton's Nook Designs and dies and embellishments from Studio Katia. There are prizes too! Both companies have a prize to give away too so make sure you read all the way to the bottom of this post to see how to win! 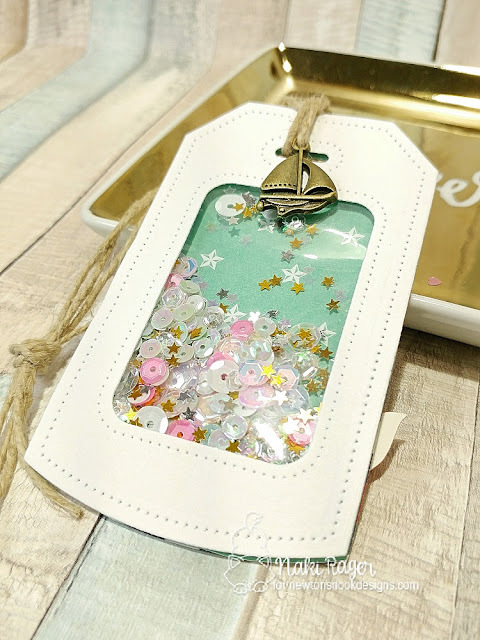 So lovely Katia generously sent us the NND DT her dies and sequins for this fun blog hop today, I was so very excited! Thank you so much, Katia! I picked this fun, shaker tag die set! She sent us a ton of sequins as well, her store has such pretty sequins and confetti! I chose the tranquil Tides Stamp set and the coordinating die set and go nautical! I started with this fun shaker card using the Shaker Tag Die set from Studio Katia. Of course I wasn't going to waste the middle piece that I die cut out! It is, after all, a tag! So I kept the nautical theme, but I colored this beautiful mermaid from the Mermaid Crossing stamp set ;-) She was stamped with the Ranger Archival Black ink on watercolor paper, water colored, then fussy cut. The sea star was colored in with the gold gel pen, so to match the gold, I die cut the xoxo from gold foil sheet. I didn't want too many things on it since it is a tag, but I just had to add those clear droplets that was in one of the sequin mixes from Studio Katia! 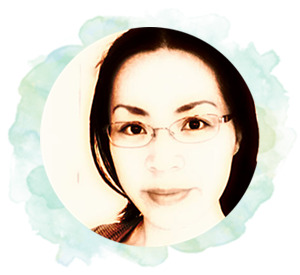 The next up is fabulous Valentyna, make sure you leave some love on her blog, and keep on hopping till the end! All the projects look just fabulous! Love the color choice and great coloring! I love the soft colors you used; these are both so pretty! Love your creations, absolutely stunning! Loving the tag die! Love these fun and summery projects! Oh sweet one, I really want that die! this tag die wins my heart. Your designs are so pretty. Love the sea-themed card and tags! Beautiful card and tags. Love the shaker tag so much!! Love your creative card and tag. Great designs and beautiful colors. Love this tag, such great details and so much fun! Love shakers so much, they are just the best! Great projects! Love the sea theme and the soft colors. Really love it! The colors are perfect, totally amazing! I love your beautiful sea themed designs! The colors are so soft and fresh! I love this coordinating set! Love that Dotted Shaker Tag die set! Beautiful projects with lovely stamps and embellishments! Enjoying this collaboration hop! Wow! Love so much your darling projects!!! Absolutely cute!!! Loved this collaboration!! Love how you used those dies!! Lovely shaker card and tags!!! Love those colors! Wow your card and tag are so gorgeous. Beautiful card and tag. Very inspiring. Fabulous nautical themed set--great colors and design. You made beautiful nautical card and tag! What a cool idea! Love! 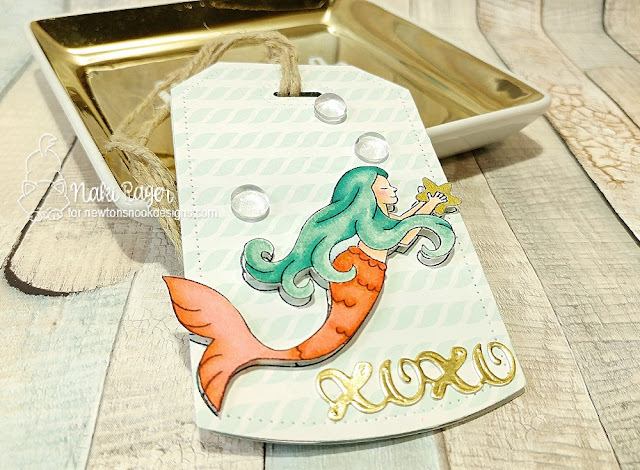 Love that nautical theme and great use of the tag die! Beautiful shakers and I love the colors that you chose! Just gorgeous! Love it:) anything beachy is a must. Thanks for sharing. Love seeing the two uses for one set! Oooh! 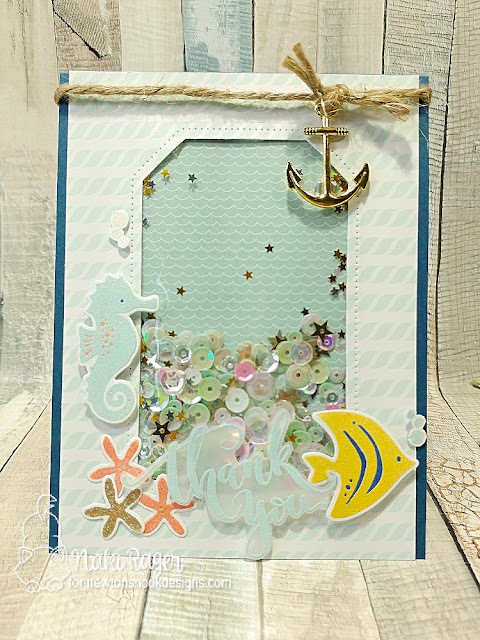 I just love these gorgeous sea themed projects! The soft colors and embossing give the perfect sea side look! Thanks for hopping along with us! Your nautical theme is really beautiful with these colors! Gorgeous use of the images and sequins! Such a great scene! I love the soft colors!